They appear as if by magic and just as quickly as they arrive, they’re gone –– vanishing into thin air. What are they? 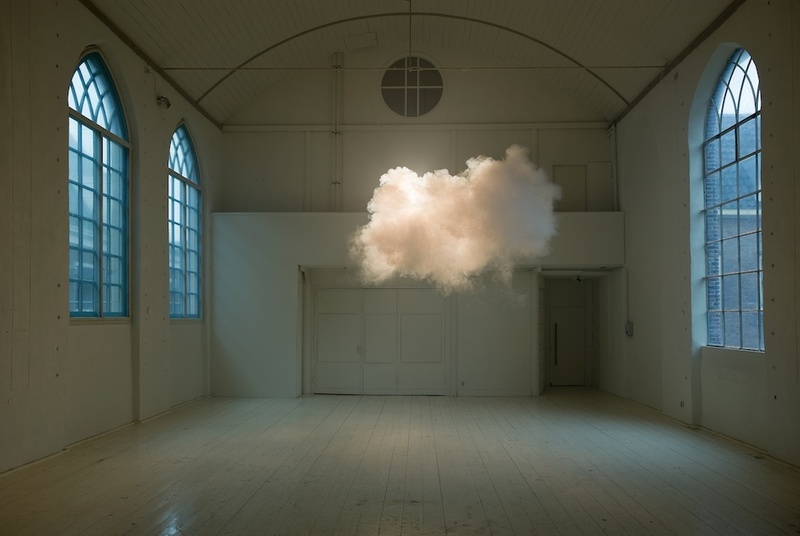 Magical, perfect, captivating indoor clouds, created by artist Berndnaut Smilde. Clouds have never looked as beautiful as they do re-imagined by Mr. Smilde. So what’s the science behind these unique creations? Vital ingredients include water, temperature, dampness and a fog machine. After getting the conditions just right (and with the help of water strategically misted into the air), Mr. Smilde sprays a burst of fog from a fog machine. The result is a stunning, fluffy, cottony cloud, suspended in the least likely of all places: indoors. And in the blink of an eye, the masterpiece is gone. An ever so brief moment in time, but fortunately for us, one captured on film.